Science can truly empower us to keep the world clean and safe --- once we understand and embrace it. As a kid, I hated science – few things bored me more. 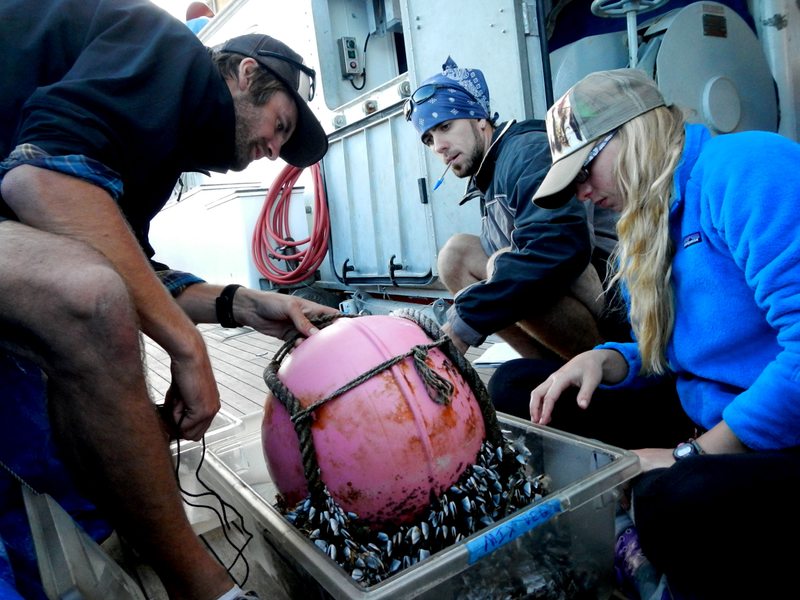 So, it may seem surprising that I am now, at age 30, a professional scientist – a marine biologist, actually. I earned a Ph.D. in 2015 and have spent the past decade investigating how marine ecosystems function so that we can better protect them and all that they offer humankind. I changed my tune about science when I was in college, because it was there that I discovered that science is not a collection of “boring facts” but is, instead, an exhilarating process of discovery that literally cuts the edge of human knowledge. 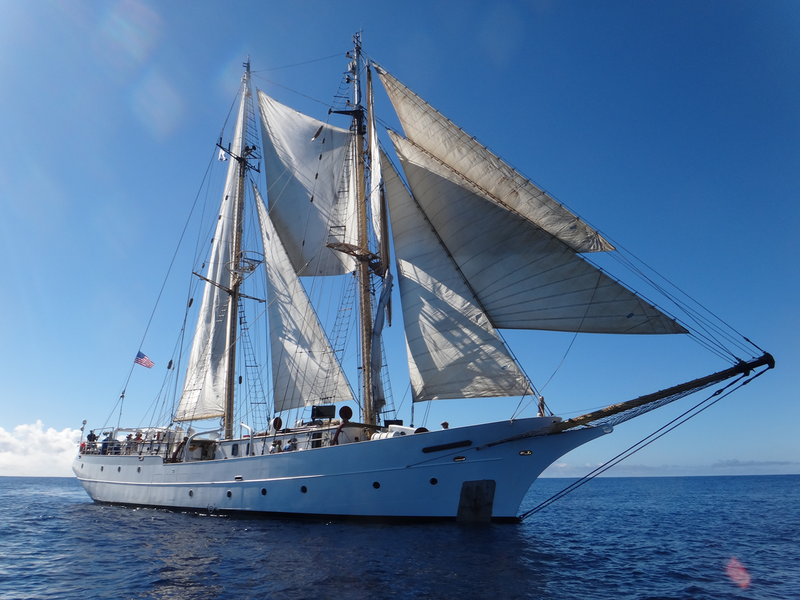 I discovered this through personal experiences doing science in the Great Barrier Reef, in the Caribbean, and as part of a research expedition, sailing from Mexico to Tahiti. 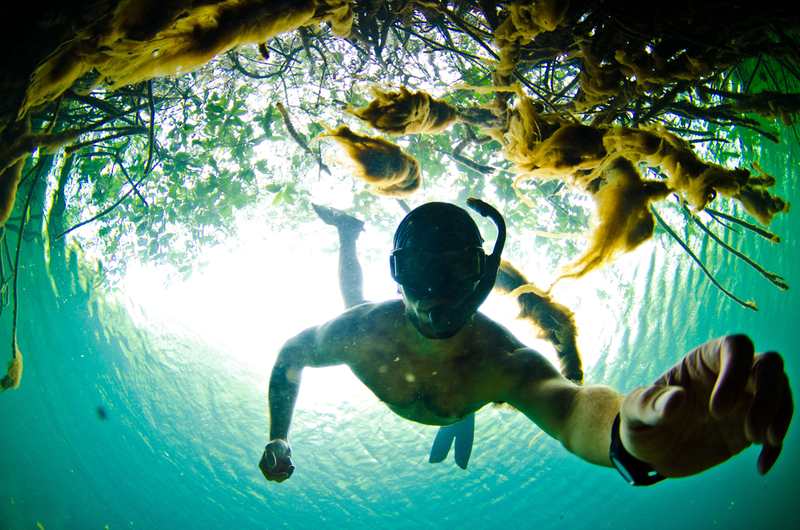 My experience has taught me that environmental science provides us with the best chance to preserve our way of life. However, I have also learned that for science to deliver, it needs the support of the general public, which is often misinformed about science and what it offers. Let me explain with my journey to the middle of the Pacific Ocean. Several years ago, Sea Education Association offered me a position as a volunteer researcher for its sailing expedition through the North Pacific Subtropical Gyre, or, as you may have seen it described: “the Great Pacific Garbage Patch.” Oceanic gyres, like this one, result from the Earth’s rotation and are essentially inverted whirlpools, with water being directed to the center, where it piles up. As such, buoyant materials, like many plastics, can collect in great quantities here. The opportunity to study this mysterious ecosystem was too tempting to pass up. We set sail from San Diego, California, to the Hawaiian Islands. No one on board knew what to expect on this expedition into the unknown, investigating what happens to plastic after it leaves our lives and ends up in the ocean. During the expedition, I led a study to see if the size of oceanic plastic debris affects how many species make homes out of these artificial islands. Over the course of 2,597 nautical miles, 36 days at sea, and encounters with whales, dolphins, sea turtles, albatross and a giant sunfish – a suite of charismatic stakeholders as it were, I collected and characterized entire living communities on various plastic debris, from toy balls and drinking bottles, to a diversity of buoys, house siding, and a massive boat fender. We also found a floating refrigerator, full of Japanese food, and a capsized dinghy, both too large to bring on board. Since I was interested in measuring effects of debris size, I limited my samples to debris with smooth, flat surfaces, to avoid any debris structural complexity to become a confounding factor. After the expedition and data analysis, I discovered something unexpected. 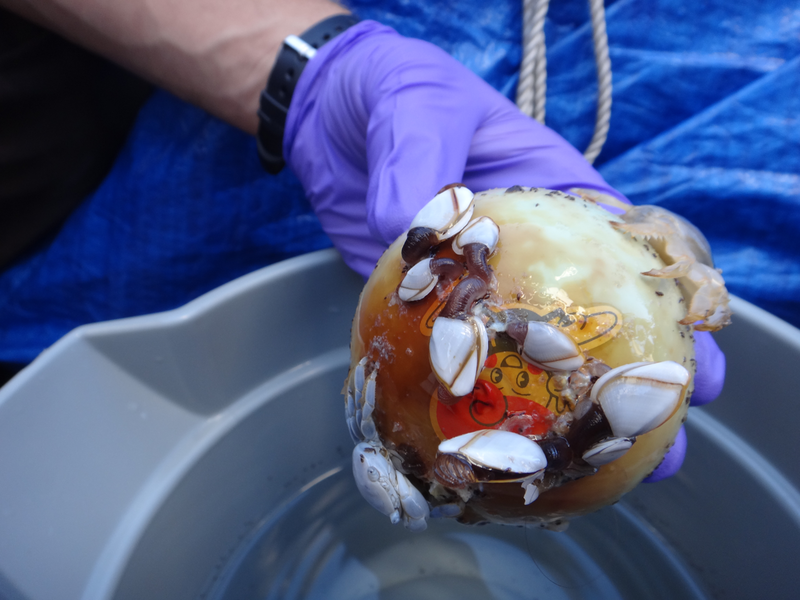 Yes, larger pieces of plastic debris generally supported more species, but I found that the diversity of mobile critters, like crabs, isopods, and polychaete worms living on the debris were most responsive not to the size of the debris, but to the abundance of resident gooseneck barnacles. 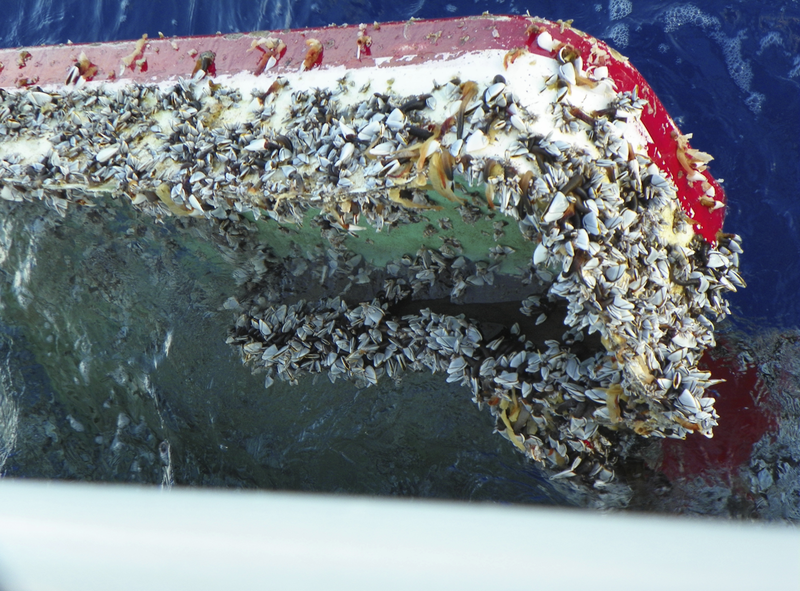 These barnacles get their name from the long, neck-like stalk that forms the base of the animal’s body. These stalks, like trees in a rainforest, create a wealth of structure on otherwise structure-free surfaces, engineering homes for other animals on smooth plastic debris. This sounds nice: Animals are helping other animals. But there is a dark side. The capacity for plastics to transport foreign species across entire oceans to new coastlines is vast, made all the more so by barnacles making these “mini cruise liners” attractive to a greater diversity of passengers. For example, I found a crab from Japan living among barnacle stalks on a plastic buoy off the California coast. We know from countless examples that foreign species can become invasive to new ecosystems: for example, lionfish in the Caribbean, devastating local plants and animals and associated economies. Ironically, it is the diversity of life on artificial, plastic ecosystems in the ocean that can threaten the diversity of life (including human life) in natural coastal ecosystems. My research from the expedition was published in the peer-reviewed scientific journal Scientific Reports, view press release here. The article generated diverse media attention, from local, national and international media outlets, and I did interviews for the program “Science Friday” and Discover magazine, to name a few. Generally, I was pleased with how well journalists stuck to the facts in their coverage. That is, until one glaring exception emerged from a plastics industry publication called Plastics Today. Science is a quest for the truth, which guides sustainable human progress, BUT for science to deliver its timely insights a close connection with the public, including you, is needed. Misrepresentation of science is often due to powerful interests and weakens scientist’s connection to the public. Many people as it turns out, are like I used to be: They dislike science as it has been communicated to them. We need the public to value and trust evidence-based approaches to issues like plastics-related species invasions, fatal digestive blockages in seabirds, sea turtles and fish, and delivery of harmful chemical compounds to humans through the fish we eat. But it’s not just the audience that must change to improve the pivotal connection between science and the public: the scientific community must popularize science among the diverse masses it is intended to serve. Accordingly, I have launched a campaign, SciAll.org to directly connect my adventures and insights as a marine biologist to the public, through YouTube videos and public lectures. With our help, science can truly empower us to keep the world clean and safe, so that our children, grandchildren and generations beyond can sail into a sustainable future. Watch Mike's Confessions of a Marine Biologist for a good laugh while learning how research can be fun. 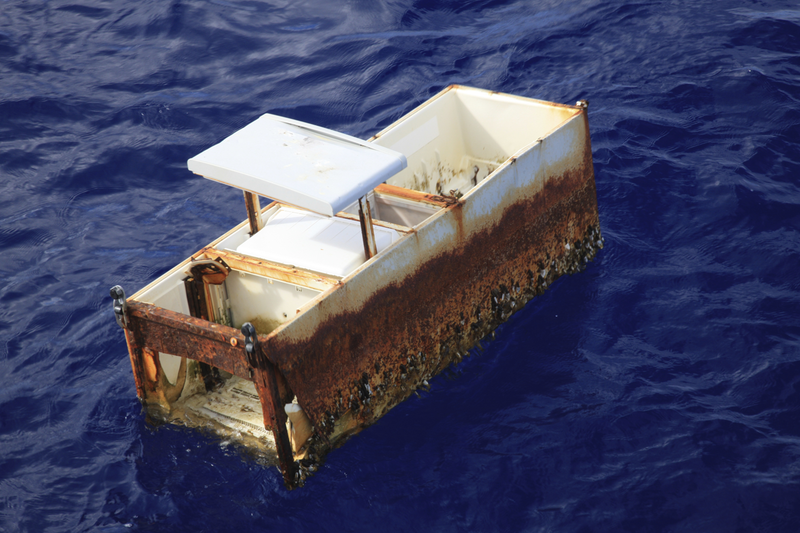 Tidy boats make for safe passages – and it also helps prevent items from washing overboard and becoming homes for invasive species. Refuse single use plastic. Not matter how big or small the impact adds up and many items make it into our waterways. Plastic bags, straws, water bottles, napkins and plastic silverware are all items that easily blow away and that can be replaced with reusable items.